DEAF CHAT - This multi-room chatroom is open 24 hours a day, and is monitored to ensure a safe and enjoyable experience. It’s free to everyone. Deaf and hearing visitors from all nations (and of all opinions) are welcome to log on and share fun chat and join in lively discussions and heated debates. DEAF CHAT CITY - There are not a lot of Deaf Chatrooms out there that offer you an amazing service like we do. Once you start talking with our members you will make new friends in no time and who knows. Try it out since you have nothing to lose and we guarantee you that you will end up chatting with someone interesting in a matter of minutes. DEAF COFFEE CHAT - The Deaf community usually got together at many different places for years. The types of places varied – they’d go to a mall, restaurant, bar, you name it. 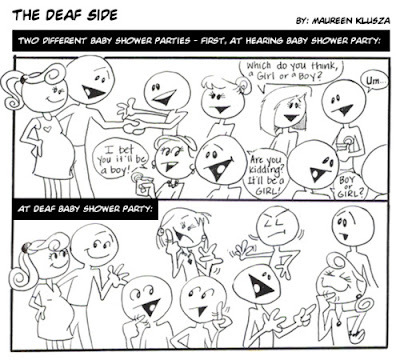 Some would do get-togethers at deaf clubs. All that changed a few years ago. People saw coffee shops as a relaxing, comfortable place to meet and chat and proceeded to set up deaf socials nationwide. DEAF COMMUNITY CHAT - Are you a Deaf or Hard of Hearing, or a hearing person interested in the Deaf culture? Then we hope you will join our community! Registration is free and easy. As a registered member you will be able to: Create threads and post replies. Upload photos and attachments. Send and receive private messages. Join and create social groups. Sell your stuff in our marketplace. All this and much more to you absolutely Free! DEAF INSIGHT CHATROOM - Welcome to the Deaf Insight Chat Room! Please sign on and join us for a Deaf Chat social hour! You may sit back and watch or join us by click on "Click here to join the conversation..." There are four sign in options: Facebook, Twitter, Rumbletalk and guest. If you the chat room window is too small click the 3rd button from the left to help enlarge your screen. If you have any questions please let us know! DEAF PASSIONS CHAT - Welcome to the FREE Deaf & HOH chat area. The chatroom is one of the many completely free features available within Deaf Passions. Please note that you will need to be a registered member of Deaf Passions in order to use the chatroom, but once you have done that, you will also have 100% FREE access to photo personals, email, instant messaging, blogs, Deaf forums and more. DEAF SKYPE CHAT - Welcome to the free Deaf & HOH chat online. 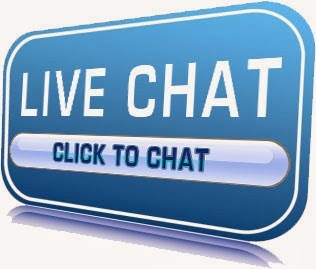 The chatroom is one of the many completely free video call within Skype. CAMFROG DEAF VIDEO CHAT - Did you know Camfrog has features built into its software just for Deaf and Hard of Hearing users? Many Deaf and Hard of Hearing Camfrog users use our software to communicate via video chat by signing into their webcam back and forth. As Camfrog became popular with Deaf and Hard of Hearing users we added a Deaf video chat room list and Deaf features in our Camfrog Server software. Our Camfrog Server software now has a Deaf mode where the "Talk" button is automatically disabled by default. TINYCHAT is an online chat website that allows users to communicate via instant messaging, voice chat, and video chat. It offers thousands of chat rooms and the ability for the Deaf and Hard of Hearing to create their own virtual chat room on any topic or category. Discover and meet friendly people just like you. Connect and chat with your friends. TinyChat listing for the Deaf and HOH.